Magnificent Monday Manis - fall doticure! 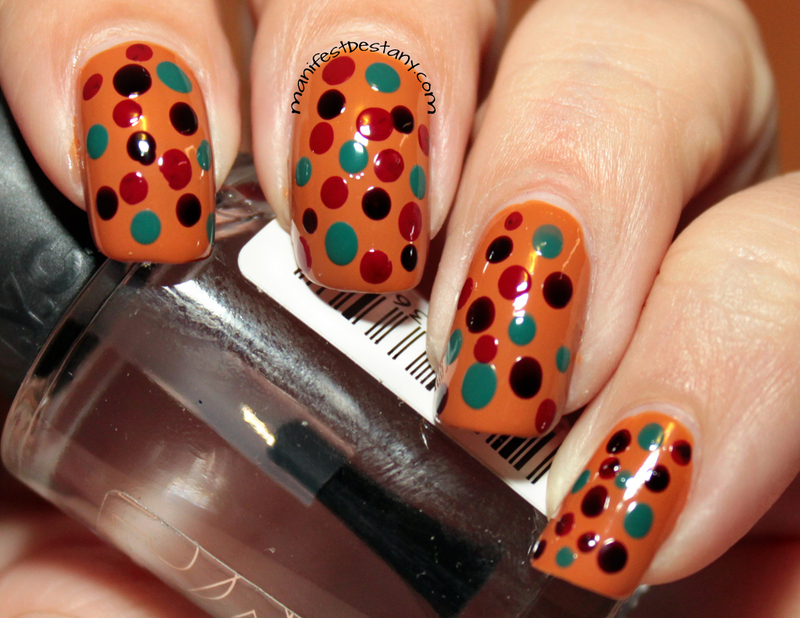 I used colors from the China Glaze On Safari Collection, which were sent to me as blogger samples. 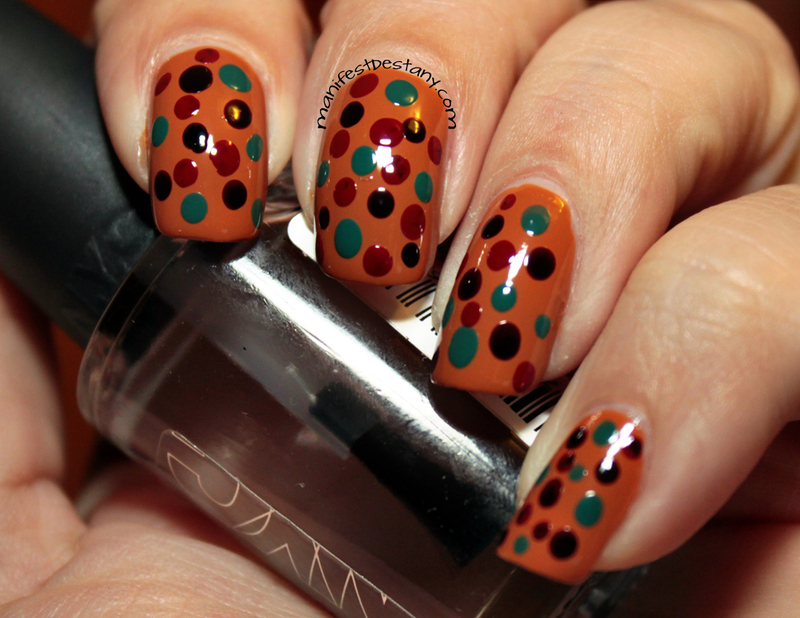 For the base I used Desert Sun, a perfect butterscotch color, and then I topped with dots in Prey Tell, Exotic Encounters and Adventure Red-y.